Liar? Cheat? Be both in Red Dead Redemption! 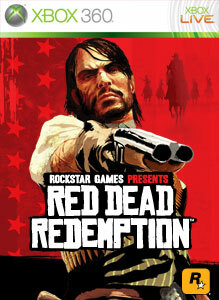 "The world of Red Dead Redemption multiplayer expands again with the new Liars and Cheats Pack. Challenge friends to horse races, try your luck with multiplayer Poker or Liar's Dice or hold your ground in the new Stronghold competitive mode. Reduce your enemies to dust with the Explosive Rifle. Play as legendary heroes and villains from the single-player story as you take on several new Gang Hideouts and Hunting Grounds in Free Roam."